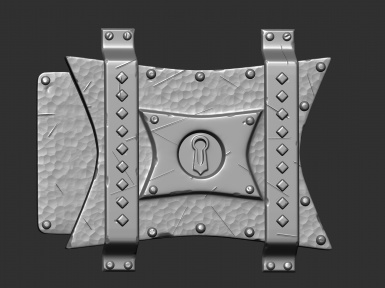 Remake of lockpicking interface assets with 100% new model and HD textures. Before attempting to do anything that involves the usage or reupload of my assets ask me for permission via PM, that includes uploading to other sites, converting for other games, releasing modified versions, etc. 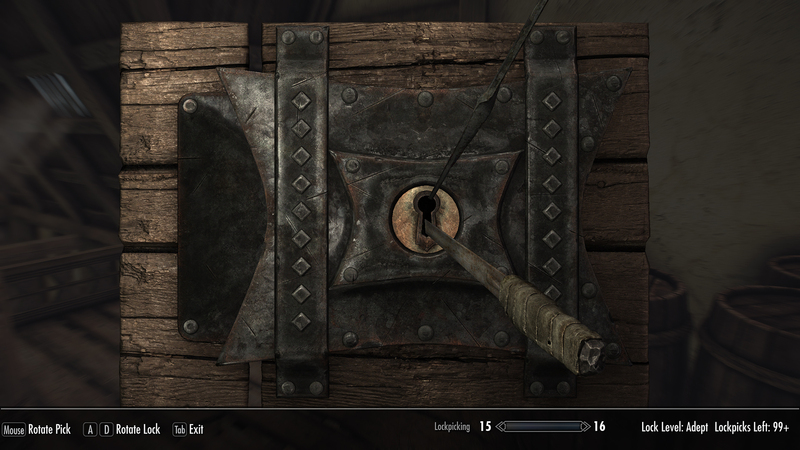 Remake of lockpicking interface assets with 100% new model and HD textures. Now the lock is a lot bigger, occupying most of the screen space that would otherwise be wasted. 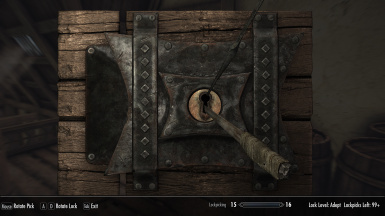 As a result of the increased detail and the addition of several bolts you'll have more reference points that will make lockpicking a bit less tedious without cheating. It is compatible with most mods modifying lockpicking interface given only the model is modified, not the interface files themselves. Mods modifying the lockpick texture are also compatible and textures have been redirected so as to not interfere with Hearthfire DLC locks.